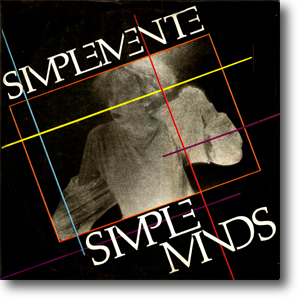 Simplemente, a rare LP issued in Peru, collected together a track from each of their previous five albums along with Don't You (Forget About Me). The selection featured an odd mix of edits, album takes and extended versions. The unique sleeve featured a black and white picture by Vincente Segura with a more familiar Anton Corbijn shot on the back. The album may have been issued on the back of plans to extend the Once Upon A Time tour to South America. But the band never extended the tour, and the album was only pressed in limited numbers, thus making it one of the rarest releases on Virgin for the group.